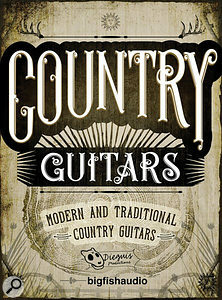 Country music can come in a rough and ready hoedown format, but that’s not what BFA’s Country Guitars is about. The material in this particular sample library is radio-friendly and absolutely ready for your next modern country rock chart assault. 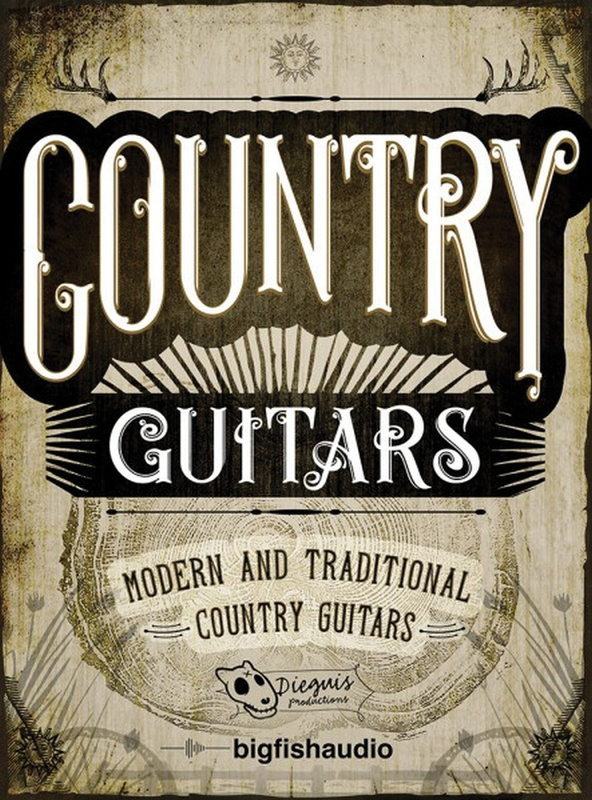 Country Guitars provides around 3.5GB of 24-bit audio samples/loops split across 20 construction kits and an ‘extras’ folder of additional loops. And while the guitar most certainly dominates, you get acoustic, electric, slide, baritone, banjo, ganjo (a six string banjo tuned like a guitar), steel and the occasional mandolin and resonator varieties thrown in for good measure. I explored the WAV loops but, depending upon which format you go for, you also get Apple Loops, REX or a Kontakt version. The package also includes pre-configured DAW sessions for Logic, Pro Tools and Cubase, and these make it a doddle to get up and running with one of the construction kits in an instant. The kits themselves are extremely well stocked. You get a number of different song sections within each kit and multiple guitar parts for each song section. In terms of building your own arrangement, and adding variety as you progress through a full song structure, you are given plenty of options. Whatever your personal take on country music as a genre, it is a musical world that is populated by some top-notch musicians, songwriters and producers. That comes across in this library. The guitars themselves — whether acoustic or electric — sound absolutely fabulous. If you wanted a little tutorial on how to get that modern country rock sound (think Brad Paisley, Keith Urban or Dierks Bentley and you will be in the right ball-park), this wouldn’t be a bad place to start. The electrics rock, but without going metal, and have bite, but without going twang. The acoustics have body but without getting boomy. This is a bit of a master class in country guitar tones. The bulk of the kits are more mid- to up-tempo, good-time country rock, although there is the occasional dip into something that’s a bit mellower. OK, as with any construction kit sample library, you have to work within the confines of the musical structures you are provided but, unlike some such libraries (and some commercial albums), Country Guitars sounds like ‘all killer, no filler’ to me. Add some equally slick drums and bass — oh, and that top-notch vocal talent — and these kits could slot right into any top-10 country radio playlist. Media composers should perhaps note that the library comes within BFA’s usual restriction in terms of production music use (you need to apply for an additional license, although this is usually granted) but, whether for songwriting or media music use, Country Guitars absolutely nails the modern country rock guitar style and sound.